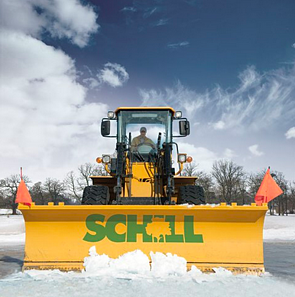 Here on the Schill blog, we’ve written a lot about what makes a great landscape maintenance provider, and what makes an exceptional snow removal contractor, but we’ve rarely talk about how the two interact with one another. We’re happy to work just as your landscaping contractor, or as the guys who remove your snow and ice, but we firmly believe that there are benefits for property managers and owners in keeping one contractor to handle your landscaping and snow removal needs all year round. 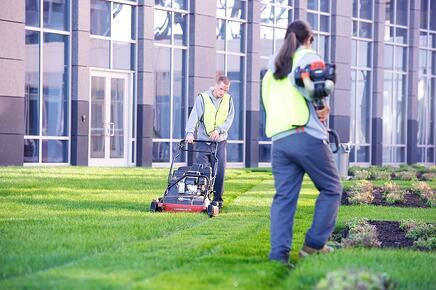 Just because the growing season stops, it doesn’t mean your landscape couldn’t use some more work. We like to keep eyes on your property throughout the year not just to monitor for any signs winter damage that might rear its head in spring, but also sometimes to get a head start on work for the upcoming season. For example, a minor winter cleanup could save you money in labor costs in spring. Furthermore, if you’re using two vendors, how can you tell which one is liable for damage that occurs between winter and spring? If you have multiple service providers working on your property, there’s the chance that you might have a hard time getting either of them to accept responsibility. 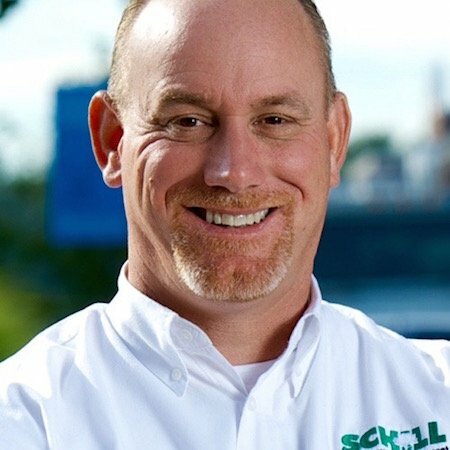 Here at Schill we call this problem the “blame game,” and it goes away when only one contractor is servicing your property because there’s no one else to point the finger at. Being the single point of contact for you concerning anything going on with the grounds of your property can be invaluable. It can save you a lot of headaches by not having to go back and forth between vendors to get any issues resolved or questions answered. It’s simple math: Being your property’s year-round grounds maintenance provider provides many more opportunities to discuss your property’s needs than only being around 3-8 months. Everyone has different preferences and priorities when it comes to how their landscape should be cared for. Some of our customers are turf fanatics who want their lawns to be perky and green throughout the growing season, while others care more about sustainable plants whose maintenance won’t be too taxing on the environment. How do we learn this about our clients? By building a relationship, and that takes time. We work with a lot of large property management companies with large teams attached to single properties. It can easily take a year to learn one person’s preferences and philosophy concerning running a property, but building a relationship with 2, 5 or 10+ people takes much longer. When you have a vendor that’s on the property 12 months out of the year, there’s much more time for those connections and relationships to flourish. 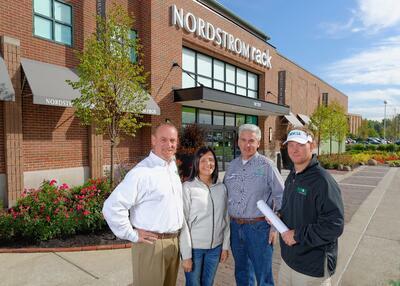 Finding other vendors can be stressful, especially in the grounds management space. There are so many variables to consider, and it’s difficult to know whether you’re comparing bids correctly because every company structures their contracts differently. But besides that, you have to vet companies, set up walkthroughs of your property, collect bids, and submit them to your board (assuming you have one). While it’s great to make sure that you’re being charged fairly and to take a decent look at other providers, this process can take entire weeks of valuable time that you could be spending doing other things. Landscapes are a living ecosystem, and they should be constantly adapting to changes depending on your facility’s needs. Do you manage a retail property that has another shop moving in? Maybe you want to add a bed in front of that storefront. Want to increase engagement among your apartment tenants or HOA members? Try planting a community garden. Here at Schill Grounds Management, we work hard to understand how your property is developing so that we can provide solutions that keep up. Whether you’re interested in making changes in the next few weeks or over the next few years, we want to help guide you through the process. If you’re drowning in bids or just tired of switching vendors, make sure to download our guides on hiring for landscaping and snow removal. All bids are not created equal, and we strive to provide people with the resources to become more knowledgeable about the industry. Then, feel free to contact us for a no-obligation consultation. 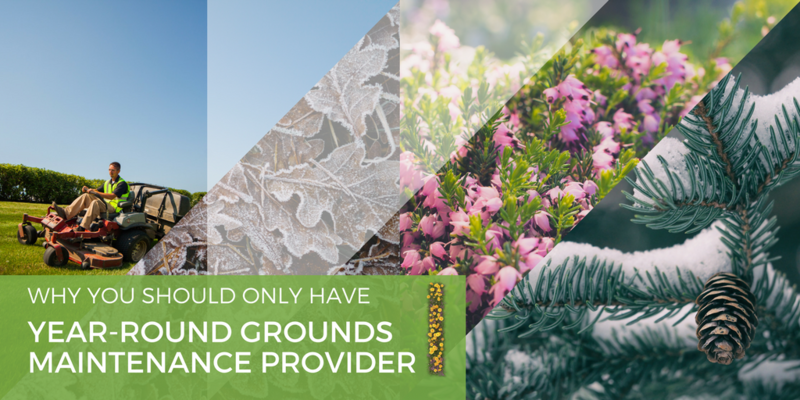 We’re always happy to help you sort through your options so that you can pick the best year-round grounds maintenance solution.